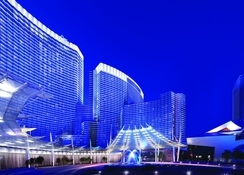 Impressive, imposing and thoughtfully designed by the renowned architect, Pelli Clarke Pelli, the ARIA Resort & Casino is an example of premier accommodation combined with art and interior design. The hotel complex provides the perfect environment to relax and be pampered. 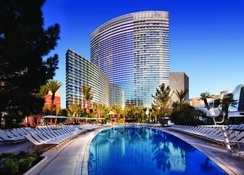 It is also the ideal location for experiencing all that Las Vegas has to offer. This hotel offers a variety of dining options from the casual comfort of bistros and cafes to culinary masterpieces. For a day of relaxation, ARIA’s luxurious spa will offer a complete menu of treatments. Guests can also enjoy breathtaking views of the Las Vegas boulevard, as each of the contemporary rooms feature expansive floor to ceiling windows. The hotel is in close proximity to some of the most important restaurants, bars, lunges and casinos in Vegas, thereby providing you with the ideal opportunity to explore the surrounding area and soak up that sunshine. 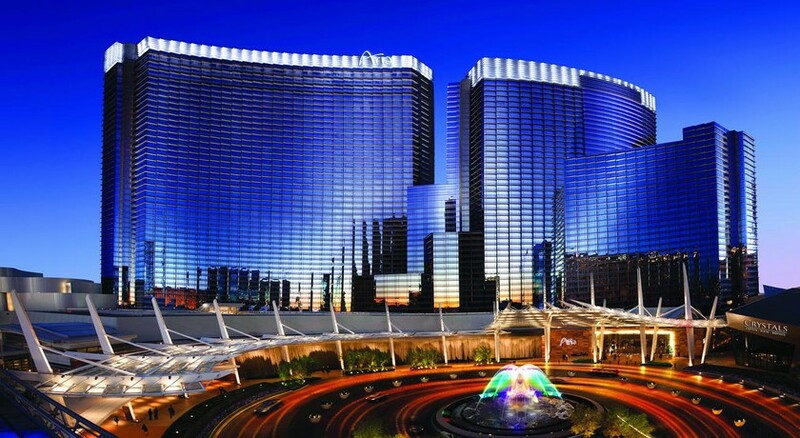 The hotel boasts an ideal location on the strip, better known as the Las Vegas Boulevard. 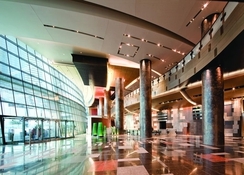 The hotel can be easily reached from the McCarran international airport. The hotel can also be approached from Interstate 15 Northbound and Interstate 15 southbound. The airport lies at a distance of 2.9 miles. It takes around 10 minutes to reach the hotel in a car. The rooms of the Aria are plush, minimalist and have a contemporary feel to them. Overlooking the glitzy Las Vegas Boulevard, the hotel rooms and suites offer the ultimate experience in luxury, comfort and elegance. The room service is impeccable and the hotel features a range of facilities and amenities not usually found in regular hotels. These features include private elevators, personal concierge service, free wired and wireless services throughout the hotel and complimentary iPad and laptop services during the stay. The various categories of rooms are deluxe rooms, sky suites and tower suites. 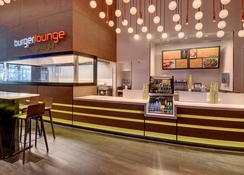 The hotel features a range of restaurants and cuisine types offering lunch, dinner and breakfast buffet services. Jean George’s steakhouse feature some of the best steaks in the world, while Late Night Lounge is well-known for delicious cocktails and finger food. Javier’s and Julian Serrano Tapas serve Mexican fare. Five50 Pizza Bar is famous for its signature east-coast style pizza. Lemongrass is the go-to restaurant for delicious Thai curries and Barmasa takes Japanese coastal cuisine to a whole new level. Online booking with the hotel earns its guests two complimentary breakfast buffet passes per stay. The hotel has a thriving nightlife and a host of options for entertainment. There is Jewel Night Club, known for its impressive lineup of new artists. Liquid pool lounge hosts some of the craziest pool parties, while Alibi Ultra Lounge serves premium spirits. The casino of the hotel serves all sorts of games imaginable. There are poker games, slot machines, table games and so on.